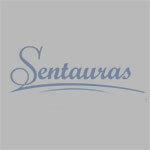 JSC “Sentauras” has a long-term cooperation experience with the suppliers of the second-hand clothes in Switzerland. This allows ensuring not only stable supply of clothes, but also the best prices. The company also imports unsorted (original) second-hand clothes and footwear from Great Britain, Ireland, Scotland and Holland. Unsorted second-hand clothes (family bags) are sold from the truck while unloading and later they are stored; we can always offer clients unsorted goods from at least two countries. JSC “Sentauras” sorts out more than 170 tons of second-hand clothes and footwear. More than 100 sorts are differentiated. Skilled employees perfectly do their work in selecting clothes of different quality categories. The production is packed according to the needs of the clients: to polyethylene bags of 10, 20, 30 kg, also to bigger polypropylene bags from 65 till 80 kg. We can make presses of 9 kg, 45-55 kg or of 300-400 kg. Pressed clothes are covered with polyethylene and wired. Second-hand clothes that are not suitable for wearing are sorted for processing. These are cotton rags (plain or coloured) and wool – acrylic rags. Cotton rags (wipers) can be cut according to the needs of the clients, making industrial wipers to clean greases, oils, and other different dirt.